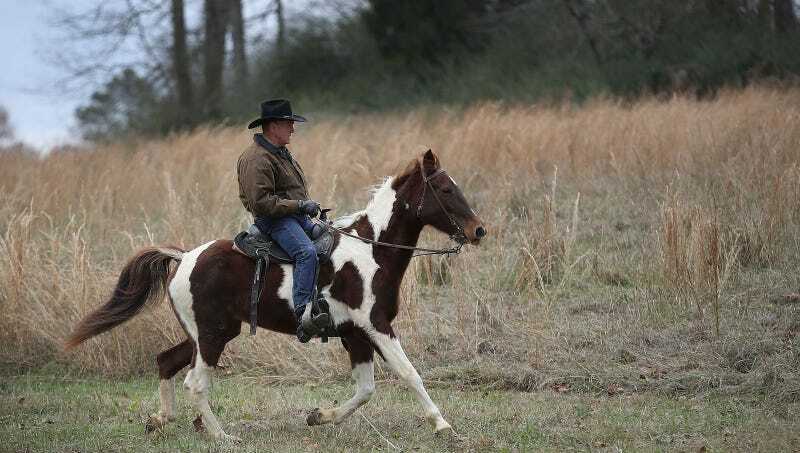 Racist, sexist accused child molester and Alabama Senate candidate Roy Moore rode his horse Sassy to the polls today in a last-minute attempt to perform his weird brand of neo-Confederate masculinity. War, Famine and Death were reportedly close behind, am I right y’all?!?! Anyone seen Ryan Zinke? I’ll keep Sassy—and the fate of mankind—in my prayers.